It is a simple fact of life that if the fuel pump stops working the car will stop moving. It is the fuel pump that sees to it that gasoline gets from the tank to the engine. While it is possible to run on a failing fuel pump for a certain distance it will sooner or later no longer operate. This can leave you stranded by the side of the road. It is something that no one wants to have happen. If you are alert to possible signs of the fuel pump going bad, you can spare yourself the trouble of the car breaking down and you having to pay towing costs. One of the best indicators of a failing fuel pump is found on the open road. If a car is moving at an accelerated speed, perhaps above 50 miles an hour, and the vehicle starts jerking and then resumes regular performance, it might not be a bad spark plug. There may be something wrong with the fuel pump. Another signal of trouble may be at the gas station. If the car ordinarily is good on gasoline, and then suddenly becomes a gas hog, there could be an emergency under the hood. Fuel pumps have a relief valve. Should for any reason that relief valves not open, then more fuel than necessary is going go into the engine system. Besides raising cost at the pump, it can result in the engine being flooded with too much gasoline. The temperature of the car can also telegraph an emergency with the fuel pump. If the heat rises and the car stalls, this may be an indication that the motor of the fuel pump is having problems. Attempting to start the car again, only to have it stall once more, makes it clear that there is some difficulty with the fuel pump. Not being able to start the car at all can be a sign of that essential auto part starting to deteriorate. That a fuel pump is starting to go bad may not be the fault of the owner at all. Every person takes for granted certain parts of the car because they always function properly. Fuel pumps provide excellent service for tens of thousands of miles. However, it is like anything else under the hood. Sooner or later. It is going to start to go downhill. The fuel pressure gauge can show conclusively that the pump is not delivering the right amount of fuel to the engine. The car owner can check the gauge while someone else is revving the car to a given speed. Looking at the owner’s manual will show how much pressure should be exerted if the pump is operating properly. Anything less is indicative of fuel pump problems that require attention. A car owner who understands automobiles could replace a fuel pump and save some money while doing it. Anyone who tries this has to remember that they are dealing with gasoline and gasoline fumes. 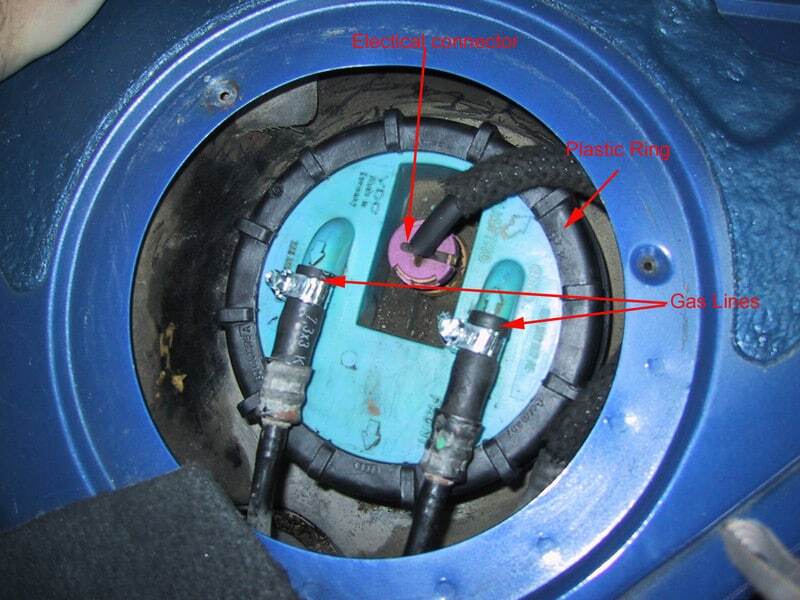 Any work that a person does on his or her fuel pump should be in a very well-ventilated area. It may be more convenient and certainly safer to have an automobile service center do the work. Mechanics can first of all run diagnostics to make sure that the problem has been properly identified. If it is the fuel pump failing, they have the tools and parts necessary to do a complete job. This is not going to be a cheap repair. There was a time years ago, when the fuel pump would cost less than $50. But times and car models have dramatically changed. Modern cars have electric fuel pumps and this is going to add on to the cost. You can expect to pay several hundred dollars for a new fuel pump and the labor. It is simply what has to be done. The alternative, of course, is rather extreme. Your car will be malfunctioning at the wrong time and there could be a fuel pump breakdown hundreds of miles from home. Nobody wants that. Anyone who owns a car must know that sometime or other the alternator, distributor, and fuel pump may start to malfunction. Hopefully, that will happen towards the end of the working life of the automobile. Looking for the signs is as much a safety precaution as it is checking for problems.